Since we are constantly working on increasing the accuracy and realism inside the game - an important aspect of the game mechanics as the calculation of armour penetration could not be ignored. 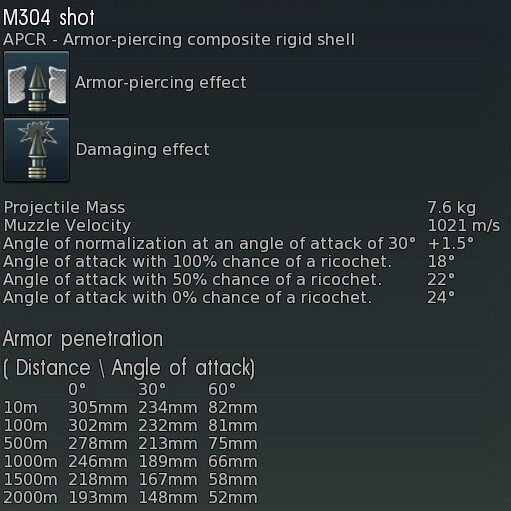 Today we want to talk about the improvements and enhancements introduced in the calculation of the armour-piercing effect of projectiles. At the same time, for different types of shells a certain distortion of the angle of attack was taken into account depending on the type of projectile (sharp or blunt-nosed shell) and the ratio between the calibre of the projectile to the armour thickness normal (perpendicular vector). In blunt-nosed shells, the final angle which were used for calculation of the armour thickness was reduced, and In sharp-nosed shells - slightly increased. 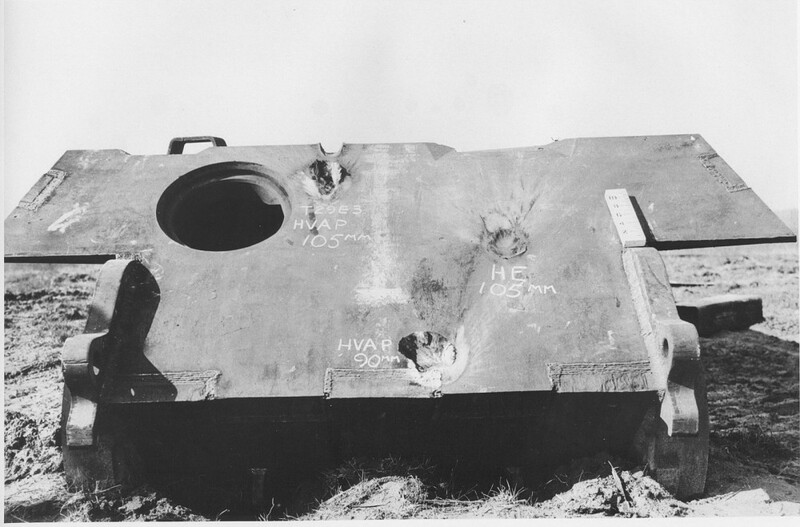 However, despite the fact that this method is good enough in most cases - the calculation results do not always completely agree with the actual results of tank armour penetration tests. This was particularly noticeable in cases of penetration with high angles of approach. There are several forces applied to a real shell at the moment of impact with any armour. These forces will bend the trajectory of a projectile which is entering any armour depending on the shape of the projectile nose, the angle of attack, the relation between the calibre of the projectile and the armour thickness normal -. sharp-nosed shells while hitting the armour, receive resistance in the form of a larger normal reaction “Rn” and smaller tangential reaction “Rt”. The resultant of these forces relative to the centre of inertia of a projectile creates a moment that de-normalizes the shell, which in turn increases its course through the armour. However, the projectiles that are modeled in our game were fairly short ones and at high angles of attack had a large de-normalizing effect - both sharp-nosed (for which this effect was bigger), and blunt-nosed (with a smaller effect). The APCR shells of the time had the maximum effect. 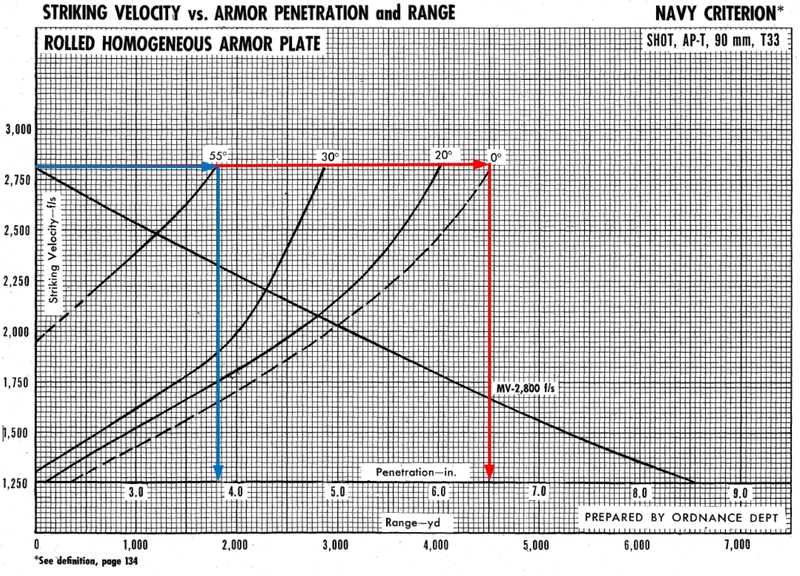 Thus for the American 90mm APCR prototype M304 shell (Terminal ballistic Data Vol 3 p.157) as we can see the penetration value at an angle of attack of 55 degrees is more than 3 times less than penetration by normal (see Pic.4). If at an angle of 0 degrees of attack, the projectile could penetrate a little more than 12 inches of armour (305 mm), an angle of approach of 55 degrees makes the shell penetrate a little less than four inches (101.6 mm). Which is comparable with penetration values of the T33 calibre sharp-nosed shell. This effect will now be reproduced in the game. 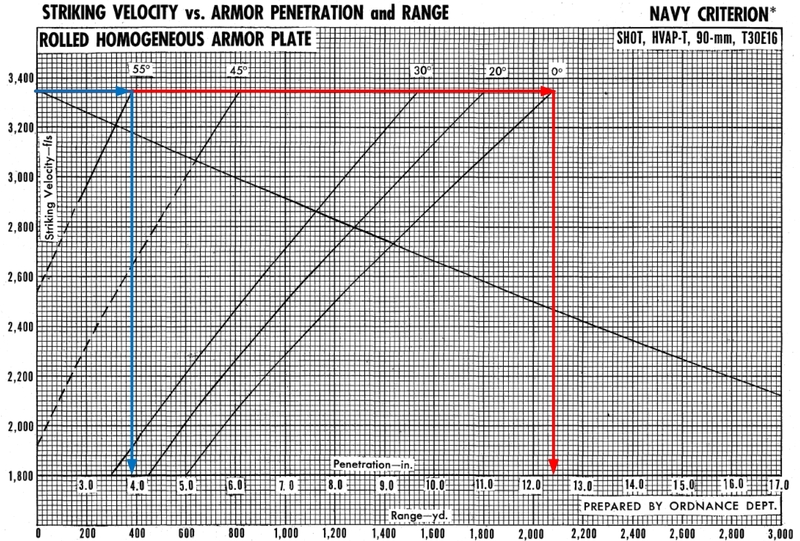 For each type of projectile, and for different ratios of calibre/barrier thickness at different angles of attack - own armour penetration fall ratios. Most of the data is taken from the publications “WWII Ballistics: Armor and Gunnery” and “Terminal ballistic Data Vol 2 and 3.”. With the introduction of this improvement, we have updated the tooltips for shells, they now display the penetration of the shells at three different angles of attack. In addition, the arcade penetration indicator has been improved - it now also accounts for this effect. 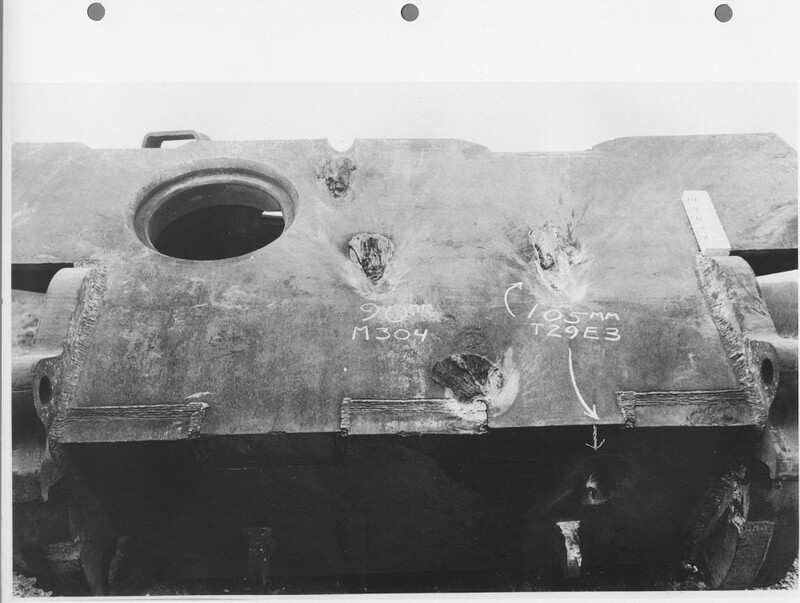 It also takes into account not only the first part of the tank armour, but several parts under it as well, which will give a more accurate indication of the penetration with such complex structures as gun mantlets and shielded armour. We believe that all of these changes will make our game even more realistic and fun.